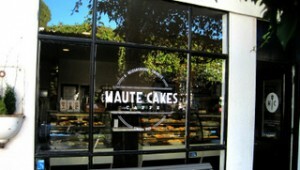 Delicious Window Graphics for Your Restaurant in Orlando! Getting noticed can mean the difference between loss and profit for most restaurants. Many business owners mistakenly think getting noticed requires a cost prohibitive investment in television or radio ads. However, one of the most powerful marketing tools at your disposal is also one of the oldest options. 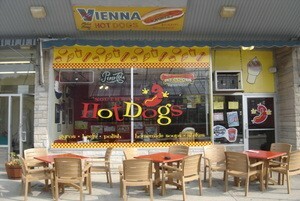 Window graphics for restaurants in Orlando continue to be the ideal alternative for drawing in diners. Are there certain items on your menu that you are best known for? If so, we can render a photograph of your best dish in full color on a vinyl window graphic. This will reel in foot traffic. Put people in the mood to eat your cuisine with window graphics depicting images evocative of your food. For instance, if you serve sushi, a picture of a beautiful Japanese pagoda would look nice in your window. Are there specific promotions that you occasionally have? With full vinyl window cling for restaurants in Orlando, you can let passersby know about your specials. When the sale is done, you can remove the cling and store it until you need it again. Window cling is also an excellent choice for decorating for the holidays. Window lettering can be used for a variety of purposes, but most restaurants prefer to use these to advertise their hours of operation and contact information. Vinyl lettering is now available in any color you can imagine. There are also reflective, neon, metallic, and matte options. Part of bringing hungry customers through your door is getting your name out there. People will remember who you are and think of you when their tummies are empty after they have seen your name and logo repetitively. 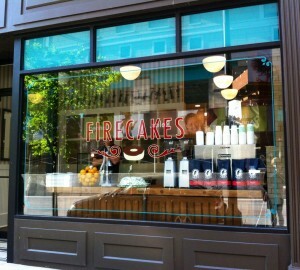 The window to your restaurant is the perfect place to get your brand in front of potential diners. Having an eatery in an area with a lot of foot traffic has its pluses and minuses. Sure, you can attract a lot of new customers, but diners with window seats may not feel like they are getting the privacy they desire as people walk by. Vinyl window perf is the perfect solution. From the outside, passersby can just see whatever images you want them to see, while on the inside, natural light still comes in and diners can look out. With all of these benefits, it is easy to see why so many establishments are contacting Citrus Sign Studio for vinyl window graphics. Once you give us a call, we listen to your vision and budget to come up with an array of options that best suit your goals. When you approve of our proofs, we get right down to work. Then, we install your decals at a time that works best for you. Are you ready to turn your windows into attention grabbing advertisements? If so, contact Citrus Sign Studio today for a free consultation.